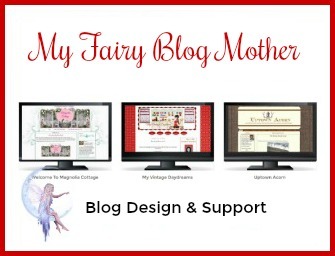 I find it very awkward to begin and end blog posts. I feel like I say the same thing every single time. Do you have that problem, too? and not been said before? Ahh, the easy & carefree days of Summer! The only thing new here is the folding ruler star. my dad's folding ruler whenever I fooled with it. so I could make it into a star. I didn't even mind if my fingers got pinched in the process! I don't know if you've noticed, but I have a fascination with stars. 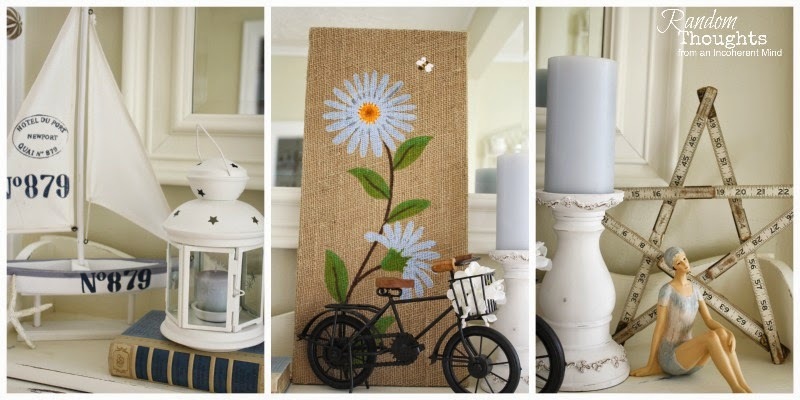 The burlap flower picture is from Hobby Lobby. with my trusty paintbrush, I made it blue. Heehee! Starfish from Christmas Tree Shop. I made the banner with fabric/burlap scraps I had on hand. And that, my friends, is my Summer dining room hutch! As always, I appreciate your visit. Everything about that vignette is so cute! I love it all. Cute vignette, Gina! 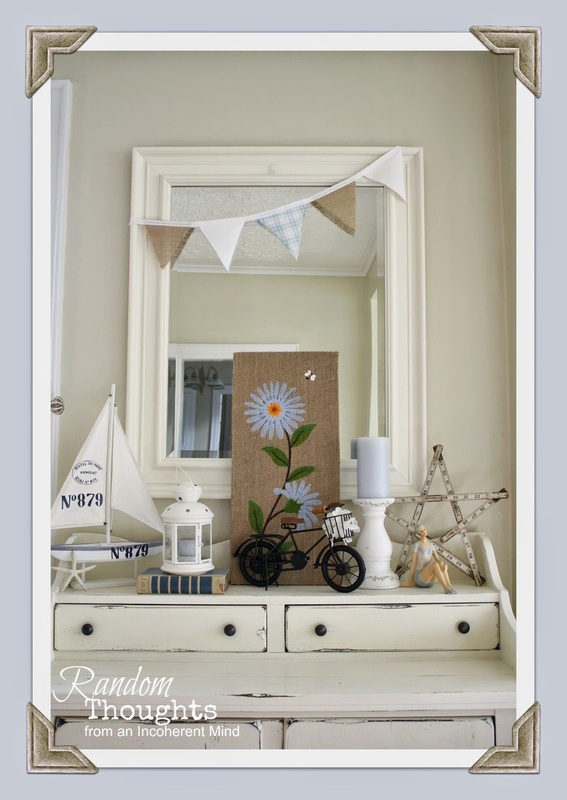 The hutch decor is perfect for Summer! Love your star! I love everything I've seen you do. The banner is adorable. Everything is pulled together so nicely. Just perfect. I love the blues, whites and tans. So summery! Ready to go to the beach or sail away. Great vignette. Love that ruler star especially!! 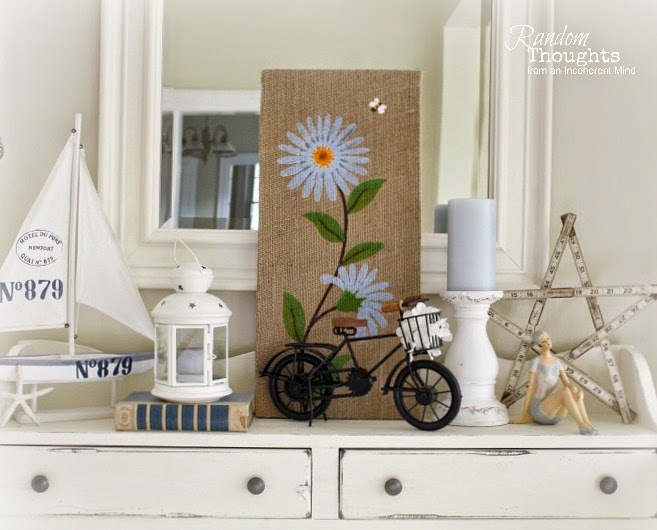 It looks beautiful Gina, a great summer vignette. So pretty Gina! I'm loving the neutral color scheme. Very summer like! Oh, it looks very beachy and summery! I love the sailboat, I'm going to have check Michael's for one of those. I know what you mean about beginning and ending posts, Gina. It's hard to come up with something original. Love your pretty hutch and sweet summer arrangement! Love the summer hutch vignette. The ruler star is adorable too! I feel the same way with ending posts too! Gina, your summer vignette is perfect!!! 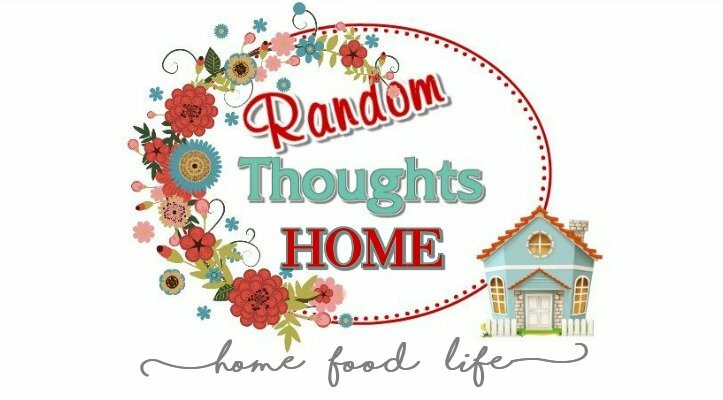 I have trouble starting my posts too....I am ok with closing though...Some times I sit forever wondering how to open...funny, I thought I was the only one lol! are very talented at putting vignettes together. I love, love your Summer hutch! It's so happy and crisp, and I love it. It's just perfect for the season. Oh, Gina! This might be my favorite one yet. I had to smile and giggle when I saw the little bike. I love riding bikes better than almost anything else on earth. How cute! I love everything about this vignette, actually...the art, the color of the candle, everything! All way too cute. Love the bathing girl! Love your summer hutch Gina! I am a fan of the chippy look and love the candle holder and the star,,,and the touch of the beach! Perfect! Havea great week end...it is looking like it may be a soggy one here. I just LOVE your summer hutch. Love it Ms. Gina! Very summery. Love that bathing beauty, so cute. Hope you're doing well. Sending you a big hug. The vignette is a just a perfect blend of heights, textures and interest! Your summer arrangement is perfect! love the sailboats . . . cute bicycle . . . must make my collapsible ruler into a star . . .
A FUN LOOK FOR SUMMER! It looks great, Happy Summer! I remember those rulers, ouchy! You have such a lovely hutch! I love white hutches.